Conveniently located in Ratchaburi, Phu Pha Phung Resort is a great base from which to explore this vibrant city. From here, guests can enjoy easy access to all that the lively city has to offer. Visitors to the hotel can take pleasure in touring the city’s top attractions: Newland Sheep Farm, Baan Hom Tien Suan Phung, Veneto Suanphueng. At Phu Pha Phung Resort, the excellent service and superior facilities make for an unforgettable stay. While lodging at this wonderful property, guests can enjoy free Wi-Fi in all rooms, 24-hour front desk, car park, room service, restaurant. All guest accommodations feature thoughtful amenities to ensure an unparalleled sense of comfort. The hotel offers fantastic facilities, including outdoor pool, garden, karaoke, to help you unwind after an action-packed day in the city. Whatever your purpose of visit, Phu Pha Phung Resort is an excellent choice for your stay in Ratchaburi. 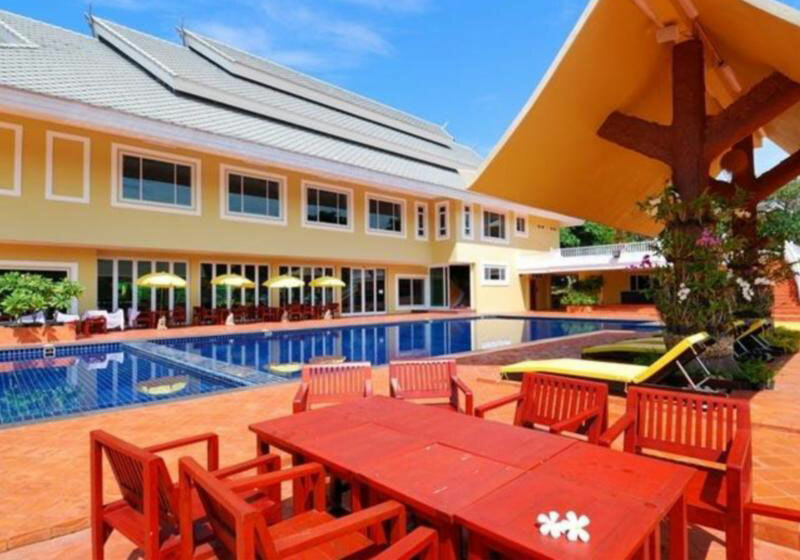 Short Description: Conveniently located in Ratchaburi, Phu Pha Phung Resort is a great base from which to explore this vibrant city. From here, guests can enjoy easy access to all that the lively city has to offer. Visitors to the hotel can take pleasure in touring the city's top attractions: Newland Sheep Farm, Baan Hom Tien Suan Phung, Veneto Suanphueng.